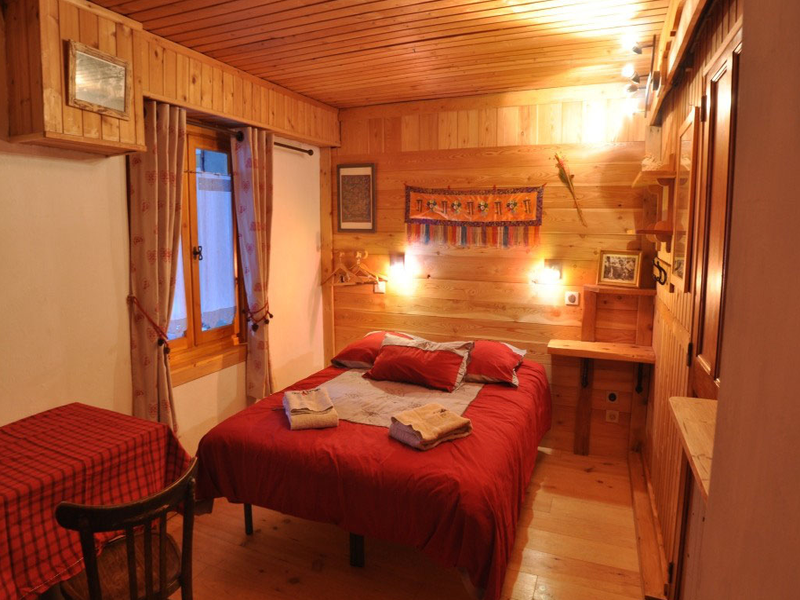 The Chalet…. 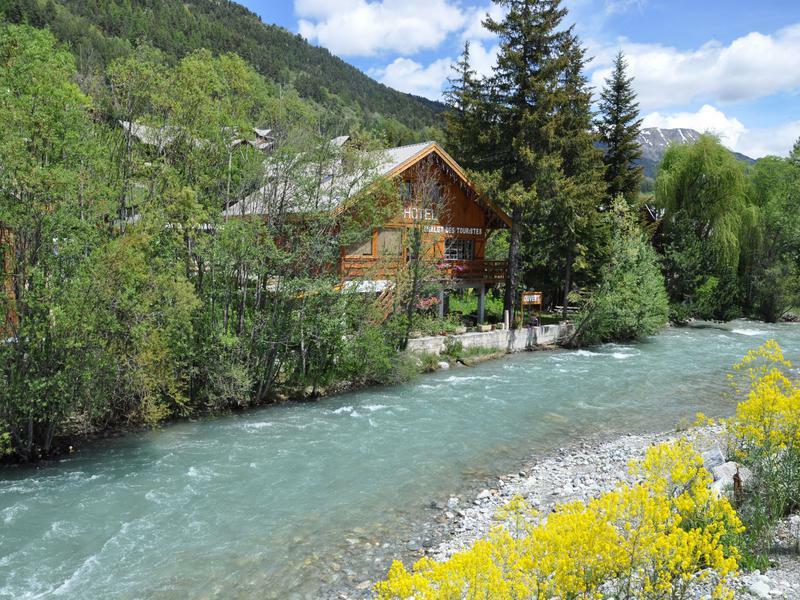 This lovely property sits right on the bank of the Guisanne River having great views of the ski pistes that run down to the village. 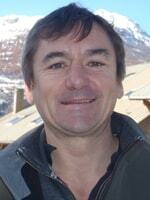 It is a modest business that is family run but which has potential for growth. The chalet has 7 guest rooms, all with their own en suite shower rooms and toilets with a total of 16 beds available to clients. 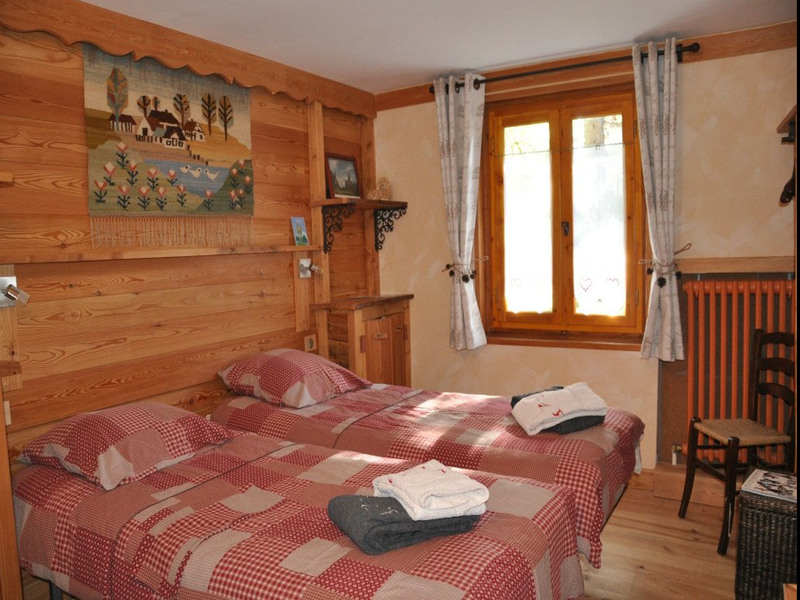 They have all been recently decorated in a traditional alpine style. On the ground floor there is a large dining area with wooden floor and features. It over looks the garden and the river which flows past the chalet. There is also a lounge room for the use of guests. At the rear of the chalet is the fully equipped professional kitchen with extractor, dishwasher, hob, oven and large professional fridge. 5 of the guest rooms are on the lower floor which accesses the garden directly. The other 2 are on the upper floor beside the private quarters which has a double bedroom, bathroom and lounge. The Area…. 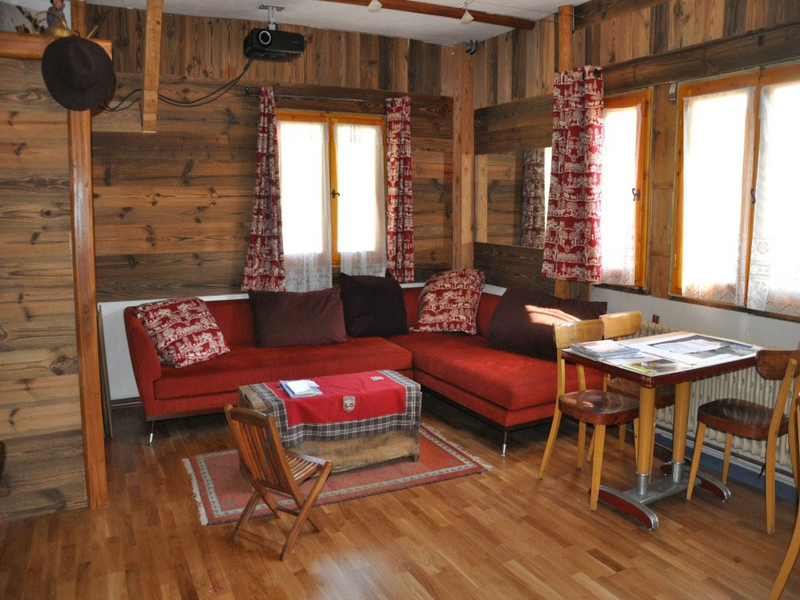 This lovely chalet is perfectly located just on the edge of Villeneuve right on the bank of the Guisanne River. 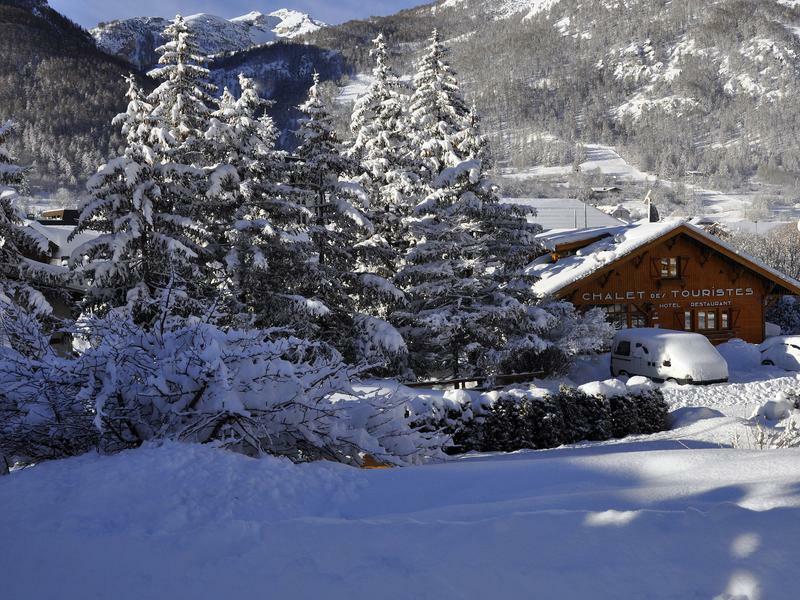 It is just 300 m from the nearest ski lift (Casse du Boeuf) and walking distance from all the best restaurants and bars in the village. The river is busy in spring with kayakers and rafters who often begin their journey from just beside the chalet. 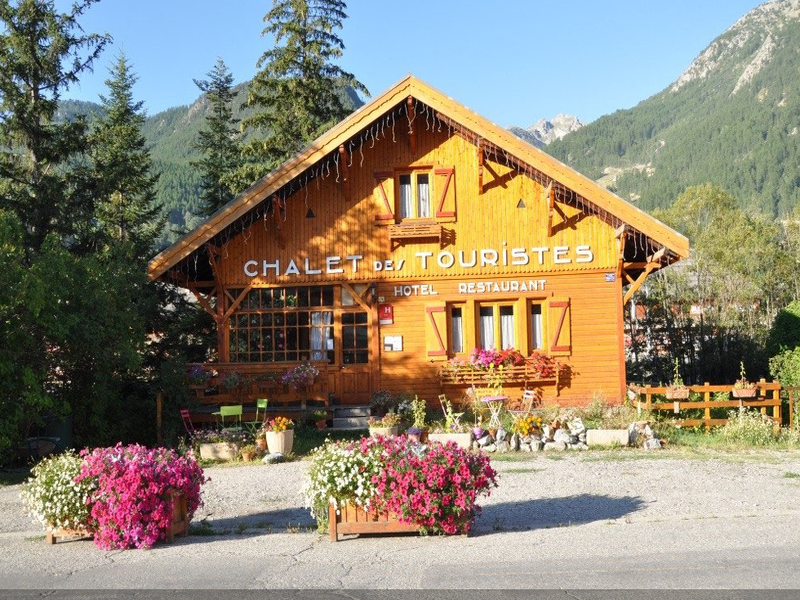 Villeneuve is the largest of the villages that make up Serre Chevalier and is linked by public transport to the rest of the station and also Briancon Town. The resort is only 125 kms from Turin airport ( 1 hour 30 ).